Whenever our FREEDOME team hears this complaint, they do their best to fix the situation. Now, we have some good news. 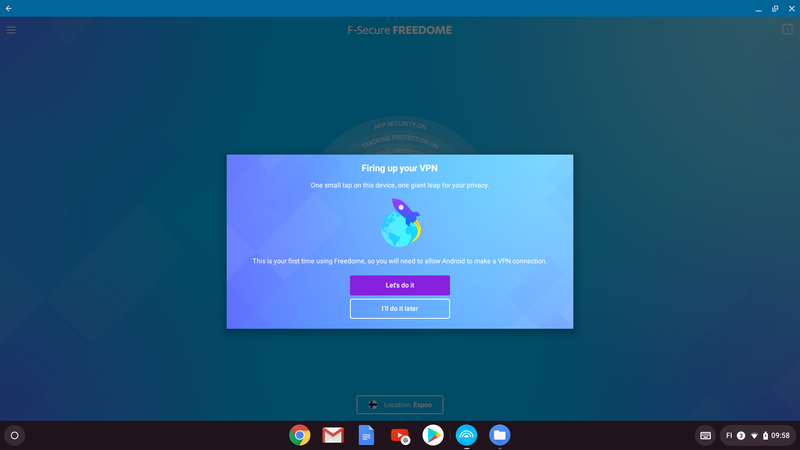 You can now use FREEDOME on ChromeOS devices that support Android apps. Full ChromeOS support for Android apps is still in development, so we will continue to see functionality improve as Google moves toward officially supporting ChromeOS. 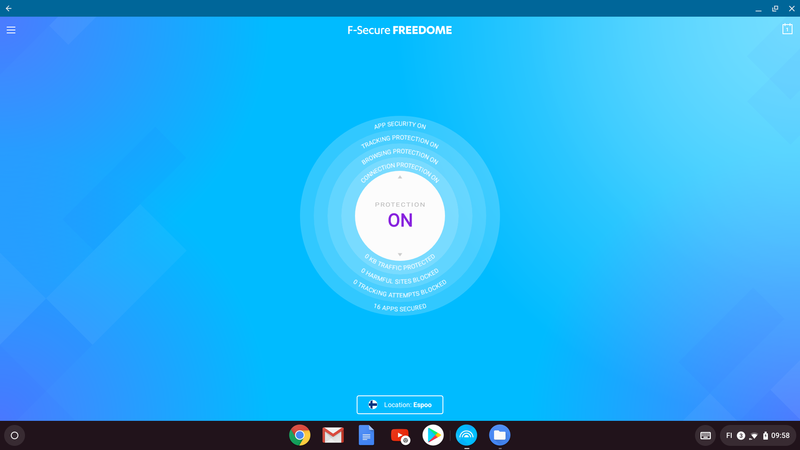 That means you can use FREEDOME for all the reasons above on your ChromeOS device now as Google continues to perfect the implementation. This upgrade is now available for anyone who currently uses FREEDOME on an Android. 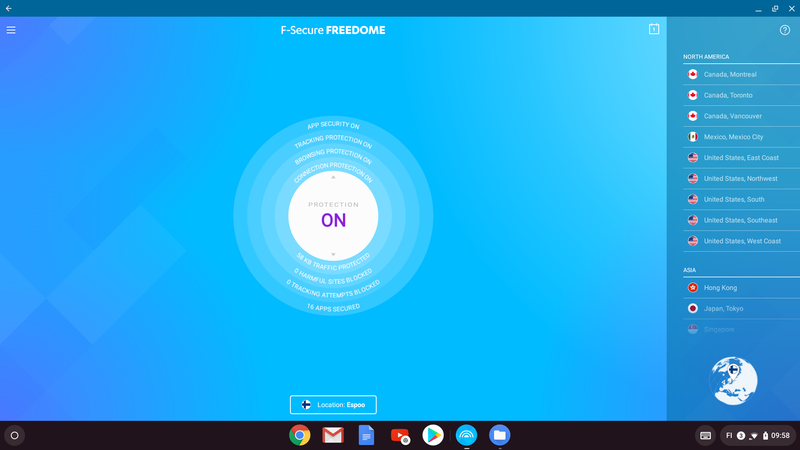 You can buy the license pack of your choice online (3, 5 or 7 devices) and use one of them on your compatible ChromeOS device and then protect the rest of your devices, too — Windows, Mac, iOS, or Android.